As soon as the weather turns cold, erwtensoep begins to show up in full force. Basically a super-thick green pea soup (the thicker the the better, in fact), it's typically served with sausage. If your spoon isn't standing upright in it unaided, there's a problem. 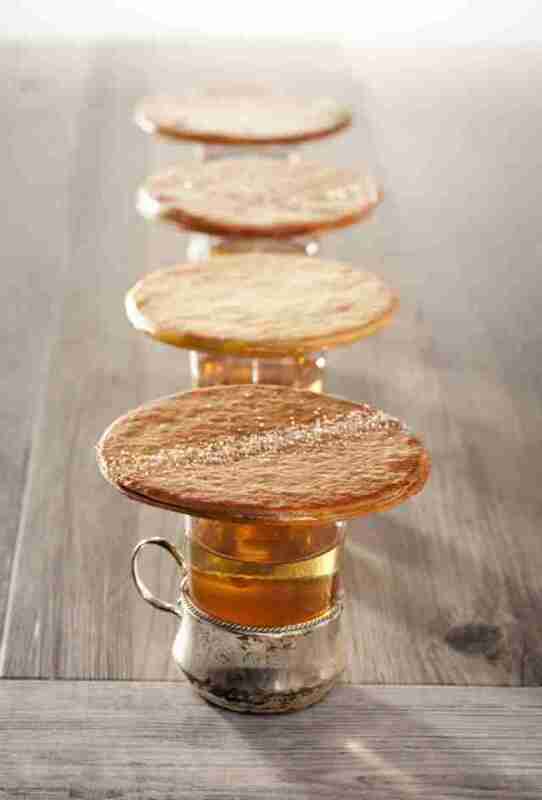 Confusing and delighting Starbucks patrons the world over, a stroopwafel is filled with a caramel-like syrup, and's supposed to be warmed over a cup of coffee/tea before eating. For the best in town, head to Lanskroon. 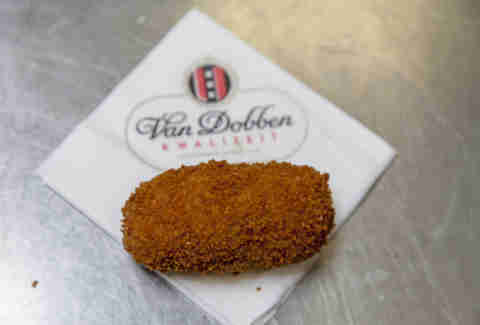 This traditional Dutch snack can be bought from self-serve vending machines, most restos, and snack bars across the country, but the best in town come from Eetsalon Van Dobben. They come in several varieties, but the main favorites are made with veal or beef. Usually served in a bun, it is tradition to smash the kroket between the bun before eating. 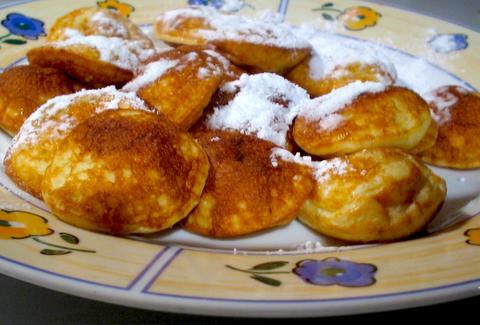 Bitterballen are miniature round versions of the kroket, served with mustard rather than bread. 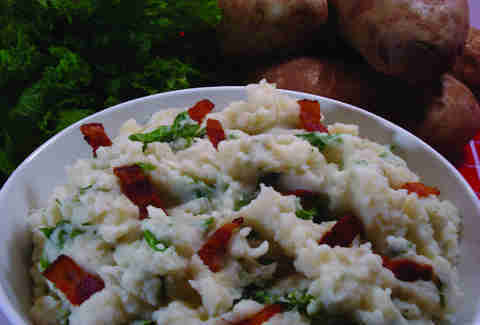 What happens when you smash together potatoes, vegetables and a little bacon (on purpose)? You get stamppot. The veggie of choice is usually endive but other varieties also exist (a mix of carrots, potatoes, and onions is known as hutspot). 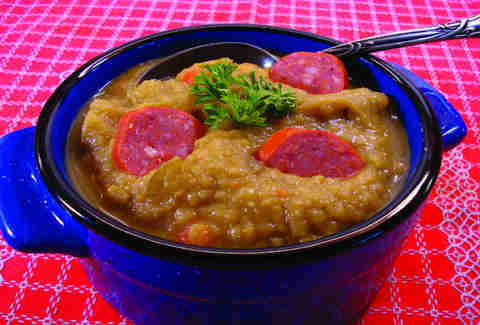 More of a side dish, stamppot is often served together with sausage. 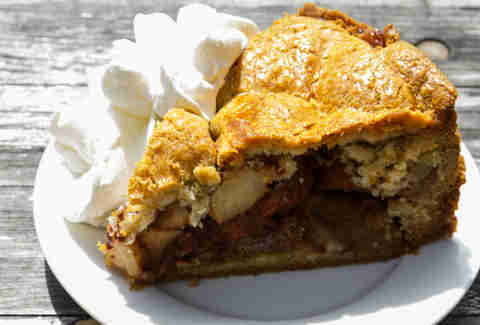 Yup, apple pie. If you think that it's as American as, well, itself, then you just haven't had a thick slice of this shortbread pastry-cased, apple-&-raisins-loaded, sugar-and-cinnamon-spiced variety – Dutch apple pie is a staple on many menus. Head to Winkel 43 in the shadow of the Noorderkerk for one of the best pieces in Amsterdam. If this was thrown onto a bullet of rice & wrapped in seaweed, you wouldn't bat an eyelid. 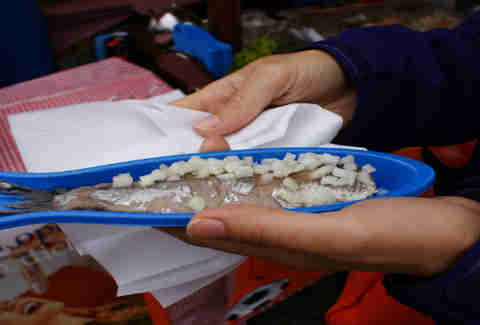 But raw herring is delicious, and it's a typical Dutch snack -- it's served either in a bun covered in onions or held by the tail and dropped straight into the mouth, and can be found throughout the city. Visit a street-side herring stall or Vishandel Theo v/d Geest in Amsterdam Zuidoost to get the fresh stuff. 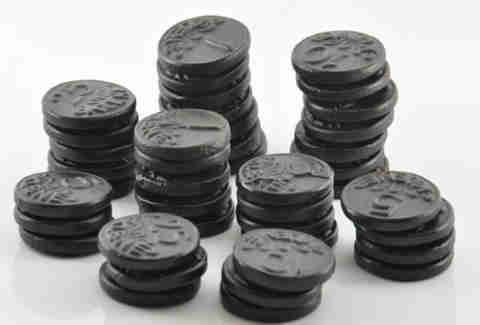 Available in almost more varieties than there is cheese in a souvenir cheese shop, the Dutch love their black liquorice (known in Dutch as "drop") so much so that an estimated 32 million kilos of the stuff is consumed each year. Score your drop from the Old Holland Sweet Shop. 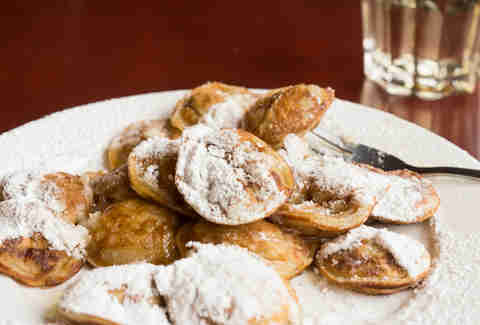 These light, round mini-pancakes are served covered in powdered sugar and with a slice of butter. Your mission is to ensure a little bit of butter makes it onto each and every one. Hit De Carrousel to do so. Ahhh, cheese. 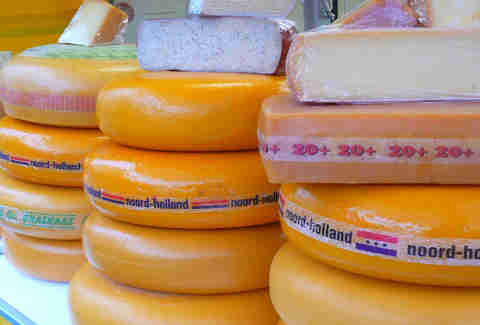 No trip to the Netherlands would be complete without consuming some of the, ahem, gouda stuff. But bypass the tourist shops and head to the Boerenmarkt op de Noordermarkt on Saturdays.